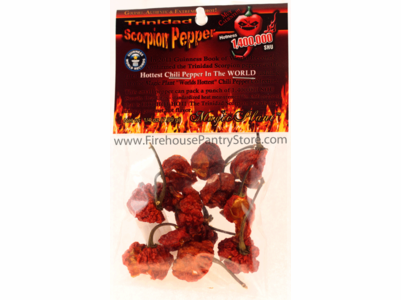 The Trinidad Scorpion Pepper is the second hottest chile in the world, according to the Guinness Book of World Records. This attractively packaged packet contains whole pods - chili pepper, seeds, and stem. One of the World's hottest chile peppers heats up this easy-to-make and fresh-tasting salsa.